Great apps are even better when they’re on sale! We’ve selected 57 iPhone and iPad apps that are over 30% off. 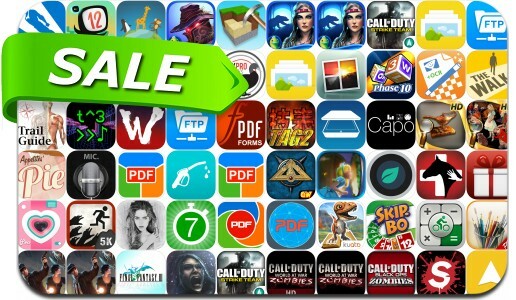 This app deal alert includes Call of Duty: Strike Team, Call of Duty: Black Ops Zombies, Call of Duty: Zombies, Surgeon Simulator, Forgotten Memories: Alternate Realities, PDF Printer, Final Fantasy III, 7 Minute Workout Challenge, MyBrushes Pro, The Walk, FTPManager, PDF Forms and many others.